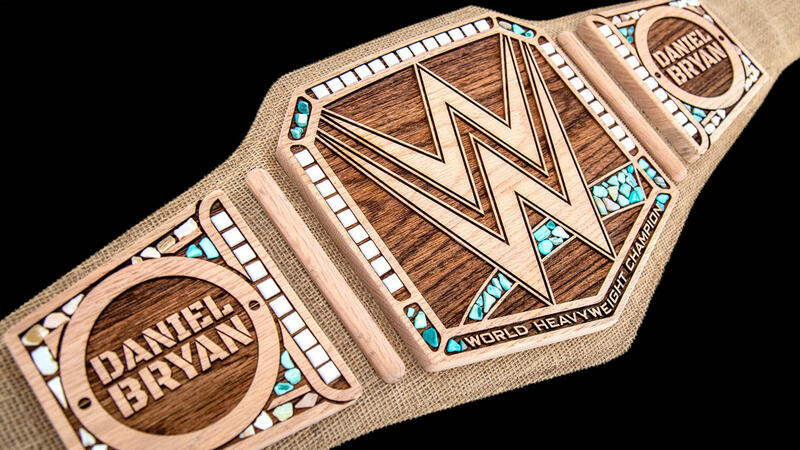 On this week's episode of SmackDown Live, Daniel Bryan unveiled this beautiful piece of craftsmanship: the WWE Championship, but with 100% organic and sustainable materials. It will, for all intents and purposes, now be referred to as the Hemp Belt, because that's exactly what it's made of. As you can see in the image above and following video, the Hemp Belt is pretty much the exact same design as the WWE Championship (and, by that same mold, the WWE Universal Championship). It's just... very brown. And clothy. According to WWE.com (and the man himself), the Hemp Belt's strap is made of 100% sustainable organic hemp, replacing the usual leather that may or may not be genuine (read: an actual tanned animal skin). And just when you start thinking, "Hey, isn't logging destructive to the environment, too?" the plates are carved (robotically, it appears) from the wood of a naturally-fallen oak tree. 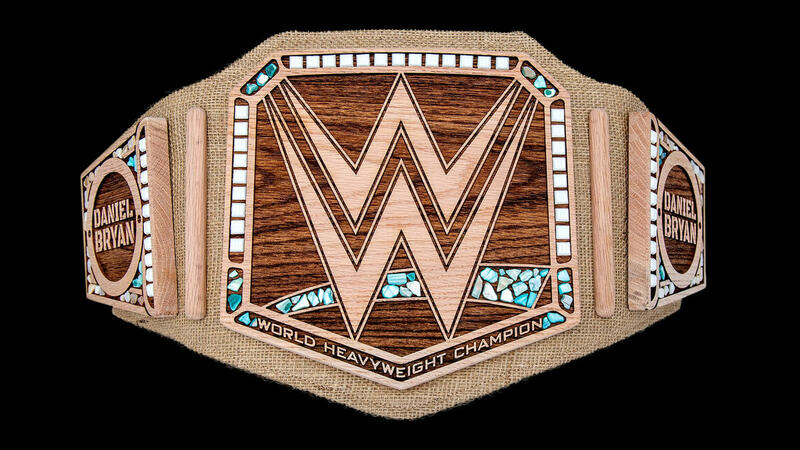 The diamond gemstones that frame each plate are replaced with white and blue pebbles, both cut and uncut, resulting in a nice contrast to the beautiful brown oak, a look which surprisingly works for a pro wrestling championship. The only nitpick is that the light brown shade of the hemp strap makes it look a little like sackcloth; a richer, deeper brown like in the darker parts of the plates would make it look better, but that's really neither here nor there. This title is going to take a little getting used to, but presumably not in a bad way. Even if you're not an environmentalist (though you should be) or you don't get behind Daniel Bryan's ecoterrorist gimmick, you have to admit that the Hemp Belt is an exquisite piece of art. The people who made it made sure that even with different materials, it still looks pretty prestigious. The only thing left for the WWE to do is to hilariously continue using the Hemp Belt even after Daniel Bryan loses the title, pretending that this is really the WWE Championship moving forward like they did with John Cena's spinner belt. What do you think of the Hemp Belt? Sound off in the comments!